Email marketing has an incredible ROI if you do it right. When people opt-in to a mailing list to receive marketing information, this shows that they’re interested in forming a connection with your brand. People far prefer to receive a marketing message they chose to receive than to get more junk mail or a pop-up ad. 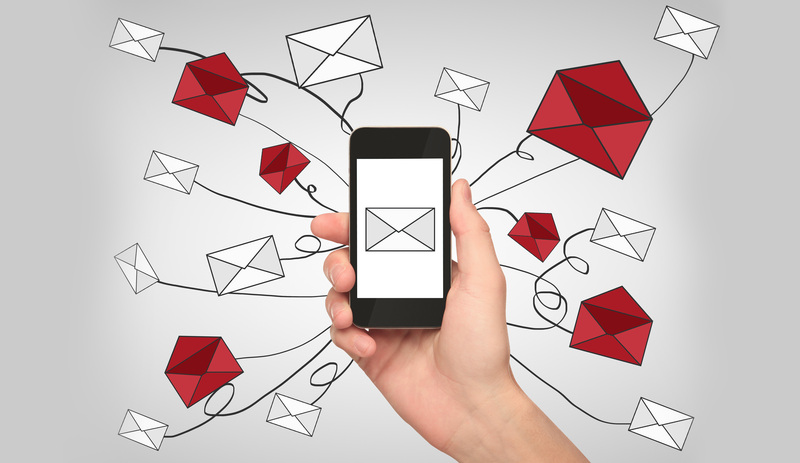 But how do you build an email campaign for your dealership? This article will provide a high-level overview of the process. Like all marketing, start with a goal in mind. It’s quite likely that you’ll get your customer’s email address after they’ve made a purchase. Email marketing for a dealership will likely focus on maintaining brand awareness, asking for referrals, and driving customers towards parts and service calls rather than selling new cars. It could also be something much simpler, like reading a blog post about car maintenance or showing them a new product. But you need a goal to measure the success of the campaign. To run an email campaign, you need two things. First, you need a list of email addresses of people who have opted-in to receive marketing messages. An opt-in list is the difference between email marketing and spamming. You do not want to send unsolicited marketing messages. The second thing is an account with an email marketing service. These let you email thousands of people at once with custom emails. They also let you collect information about what people do with those emails so you can gauge your success. They also let you segment your list so you can target the right customers with the right email campaigns. If you need help designing an email campaign, the digital marketing team at Dealerwebb can get you started today! To keep the example simple, let’s say your email will be a monthly newsletter sharing service deals and upcoming events to your customers. The goal is to get people to use the enclosed coupons to get their cars into the shop. The first thing to do is to create an attractive subject line for your email that gets people to open it. The subject line is the most important piece of marketing real-estate in an email campaign. In this case, even something generic like “Best Car Dealerships - August 2018 Newsletter” would be a good start. It clearly states what the contents are and does a little branding. If your email marketing tool does subject line A/B testing, take advantage of it to get better at making solid subject lines. Contact information for your business. Writing email copy is an art in itself, but it’s much like writing a good letter. Strive to make the reader feel like they’ve received some value from the content even if they don’t go all the way to conversion. If you’re unsure about your copywriting skills, hire a freelancer to write one before you send your first emails. You don’t want to do all this setup and lose half your list from a bad email. Also, proofread your emails before sending! Finally, do what you need to do for your email marketing provider to track what happens to the emails. This will vary depending on the provider. Once your message is written, it’s time to choose the best time to send it. This is something that can be tested over time as you do more campaigns. It’s likely your email marketing service will track when customers open their emails so it will be easy to tell. If the costs of your campaign are less than the revenue generated from your conversions, congrats! Your email campaign had a positive ROI. If not, the other metrics will tell you what went wrong. Poor open rates mean bad subject lines or bad send times. Poor click-through rates mean you need better ad copy or something was wrong with your links. A poor conversion rate means your offer wasn’t compelling. Not all email campaigns are revenue-driven, but the same principles apply to other campaigns. If all you want to do is brand awareness, simply opening the email can be the conversion measurement. From here, it’s a matter of repeating as necessary and trying to do better the next time. Keep adding new customers to your email list and writing new campaigns. You just might discover that email marketing is the most cost-effective form of marketing you have in your arsenal once you get some experience under your belt.